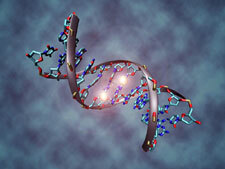 Sam-e – DNA Methylation, and Your Health! Sam-e – Prevent Heart Disease With This Amazing Nutrient! 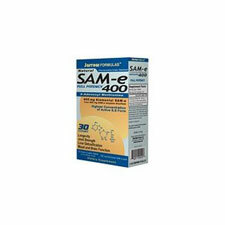 Sam-e, or s-adenosyl-methionine is one of the most important nutrients you have never heard of! It can help prevent cancer, heart disease, and strokes! Interested? Then let's examine it further. DNA methylation is a process that is critical for regulating gene expression and stabilizing your DNA. This process can suffer from a problem called undermethylation which allows a buildup of a toxic amino acid called homocystiene. Normally the amino acid cysteine is converted into homocysteine (a toxic intermediary amino acid) and then in a final step, it's converted into the sulfur based amino acid methionine. In undermethylation, it does not complete the methylation cycle and remains as homocysteine, causing inflammation and damage to DNA. These substances have the ability to “donate” what are called “methyl groups” to aid in the methylation cycle, in somewhat the same way that antioxidants “donate” electrons to stabilize free radical reactions. Methyl donors are used to help lower homocysteine levels when your body has an impaired methylation cycle. This can not only lower toxic homocystiene levels, but will also lower your risk of heart disease, Alzheimer’s, cancer, stroke, and dementia. Sam-e or S-Adenosyl methionine is a common co-substrate (chemical compound) which is involved in transfers of “methyl groups”. It is bio-synthesized from methionine and adenosine triphosphate (ATP), by an enzyme called adenosyltransferase. The important thing to remember is that s-adenosyl methionine functions as a methyl donor, helping to prevent the buildup of toxic homocysteine in your blood. Homocystiene is associated with increased inflammation, and keeping homocysteine levels down is a must for preventing chronic disease. Since more and more information has been coming out of late about the MTHFR gene defect and elevated homocystiene, you will be hearing a lot more about methyl donors like sam-e. The science of nutragenomics is about controlling gene expression with nutrition, and this is an example of how s-adenosyl methionine can alter the expression of the poor methylation gene and lower your risk of heart disease and cancer. When taking s-adenosyl methionine without other b-vitamins in the diet which support it's utilization, it's possible that it will not be broken down into sam, and remain as S-adenosyl-homocysteine. This could result in elevated homocystine levels which threaten cardiovascular health. Therefore adequate b-vitamins such as vitamin b-6, b-12, and folic acid should be included in your diet or taken in supplement form to insure the breakdown of S-adenosyl-homocysteine to sam. Insomnia has been reported, which suggests that it should be taken in the morning. A number of other side effects such as poor appetite, constipation, nausea, anxiety, sweating and dry mouth, occur with the same frequency in placebo groups. Thus it is hard to conclude these definitely result from use of s-adenosyl methionine. S-adenosyl methionine is normally taken in enteric coated tablets on an empty stomach. This ensures the best absorption. It has a half life of 100 minutes and blood levels peak approximately 4-5 hours after you take it. Dosages range from 50mg up to 1600mg per day in divided doses. There are a number of companies that make this supplement. I like to go with quality brand names like Life Extension, and Jarrow Formulas. Always choose quality over low price. In doing so, you are assured of potency and effectiveness, which can be compromised in cheaper brands. My philosophy with supplementation is to use the smallest dosage that provides a noticeable and beneficial effect. If in doubt, consult a doctor or nutritionist who is knowledgeable about nutritional supplementation. He or she can guide you based upon their knowledge and the feedback you give them. Sam-e can be a valuable tool in your antiaging arsenal, because as a methyl donor it can help lower homocysteine levels and lower your risk for chronic disease.